Attached lid containers are the workhorse of the distribution industry. 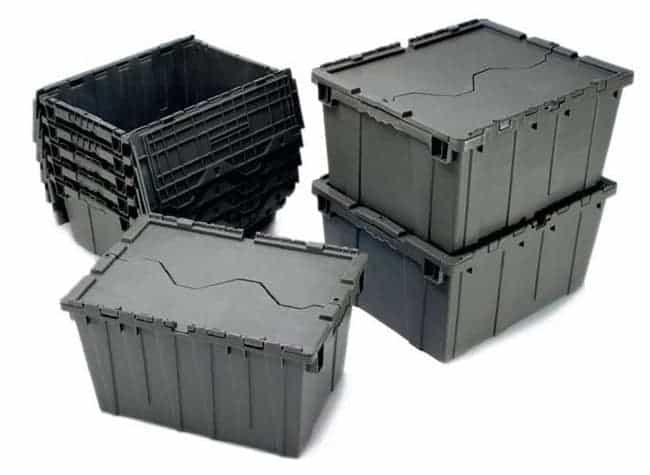 These containers are used widely in retail distribution to ship small packaging to and from distribution centers and stores, and make a great alternative to cardboard boxes. 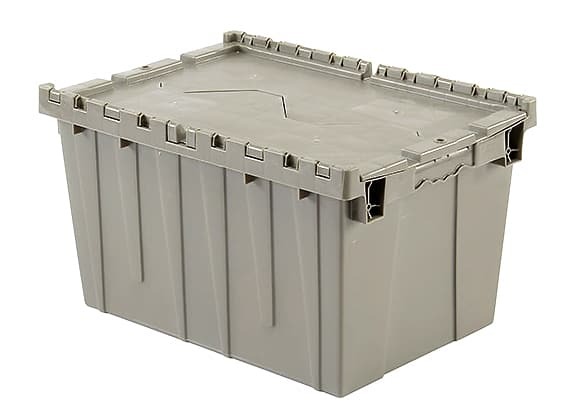 The attached lid containers can nest when the lids are opened making them efficient for return freight. 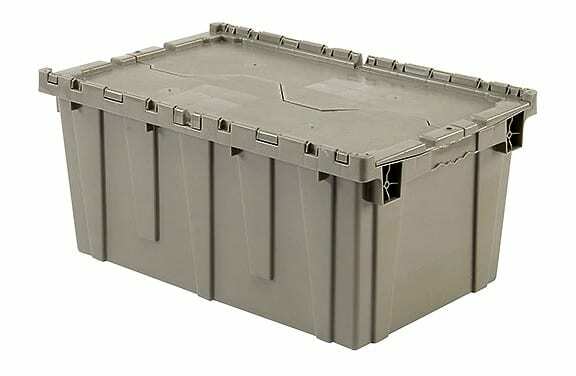 The thick walls made of industrial grade plastic make them stronger than any other storage container found at a hardware store. Improve your company’s performance with durable, plastic attached lid shipping containers from TranPak. Please call (800) 827-2474 or email us for more details. Need a larger Attached Lid Container? View our other option. Need a smaller Attached Lid Container? View our other option.